"Hides" are a necessary item in most reptile enclosures. A hide is essentially a cave for your reptile to hide in. Each species and specific reptile is different in what they prefer, but the most basic rule of thumb is to have a hide on each side of the temperature gradient in their enclosure. If you have reptiles that can be housed together, it is important to have enough hides for each reptile, so that they have a place to escape and take a nap, or simply get away from their tank mates. Here's how to make your own reptile hides. A number of reptiles require a "moist hide" when shedding, or enjoy having one all the time. My leopard gecko, Marley, spends the majority of her time in her moist hide- whether she's mid-shed or not. To make your own moist hide, you'll need a plastic Tupperware container with a lid, strong scissors or an exacto knife, and duct tape. The container can be any size you'd like, just take the size of the enclosure and the size of your reptile into consideration when choosing. All you need to do is cut a hole in any side of the container, or the lid. Once you've cut a hole that is big enough for them to get in and out of, cover the rough edges with duct tape, so the reptile can't get injured. I usually put crumpled up paper towels in the hide, so my gecko can hide under them or dig in them to her heart's content. You could also use terrarium or sphagnum moss, depending on what is appropriate for your reptile. Once you've added the substrate, use a spray bottle to mist the inside, so the hide stays humid. As with most DIY projects, creativity is encouraged! When using items you already have, it is important to sterilize the item in boiling water or with a mild bleach solution (then rinsed and dried completely) before placing it in your reptile enclosure. Also make sure that you have checked the inside and out for any sharp edges or pieces that could injure your reptile. 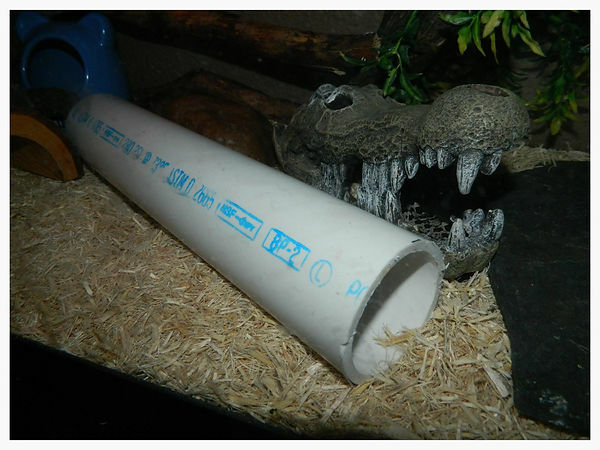 I found a PVC pipe that I thought Marley the leopard gecko would love! The pipe itself would do, but I decided to deconstruct a plant decoration and affix it with hot glue to the outside and entrance to the pipe. If I had wanted to make it into a moist hide, I could have simply added paper towels or moss to the bottom of the pipe and mist with water. You can use basically anything your reptile can fit in to make a hide. 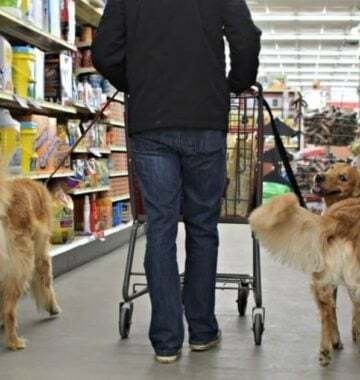 Flower pots, buckets, Tupperware, bowls; any container that can be modified in order for them to enter and exit freely can be turned into a hide for your reptile. You can use whatever substrate you have available to you as well- paper towels, newspaper, or moss all work well. You have to make sure that whatever container you choose for your hide is one that can be replaced or sanitized when needed. Get creative! Post your own DIY reptile hide ideas in the comments!